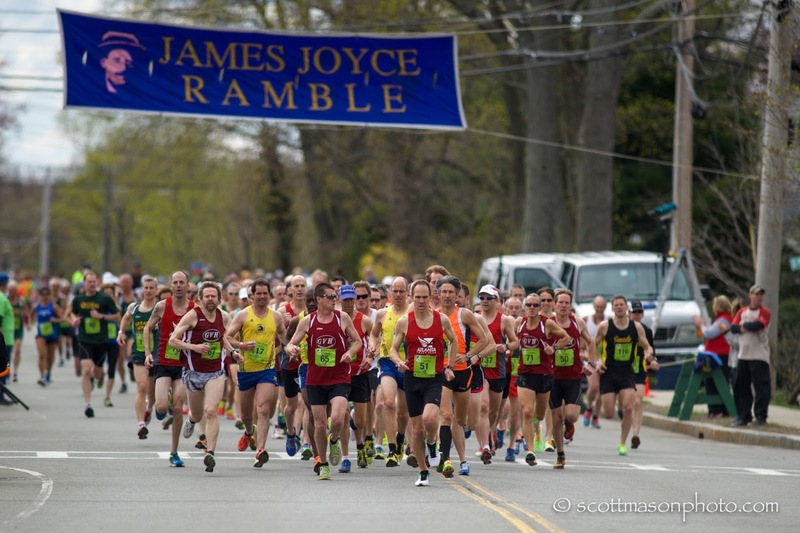 Over 200 of the fastest Masters Runners in the country will be listening for the starting horn in Dedham, Massachusetts for the 2016 USATF 10K Championship at the James Joyce Ramble. It is also the 3rd stop on the 2016 Masters LDR Grand Prix Circuit and the first east of the Mississippi. It is a beautiful course, winding through the neighborhoods of the picturesque small New England town of Dedham MA. The course is not flat but the competition more than makes up for the few moderate hills. National Age Division Records have been set on the course in each of the last two years. Individual and team titles are on the line, as well as points for the Grand Prix. The previews and predictions below are all offered in good fun and with the understanding that predicting is tough; fitness on the day is unknown in advance. First are the Individual Races and then the Teams. Men. The sad news is that a balky hip flexor has derailed Kristian Blaich’s defense of his title. A. He had quite a race last year with local elites, Kent Lemme, and Dave DeChellis. Lemme and DeChellis are back but will go up against different contenders. Mike McManus, out of the M50 group is a real threat. He had the fastest Masters time at the 2015 USATF 5 KM XC at Saratoga Springs NY and bested Christopher Magill of the B.A.A. and Blaich by a few seconds at the 2015 USATF Club Cross Country Championships last December, so he is definitely one of the favorites. He is also fresh off a 2nd place Masters Overall finish at the BAA 5K in 15:57 so we know he is fit. Blaich and Magill finished 4th and 5th overall at this race in 2014 but Magill did not run last year. If he enters in the next ten days he will also be a contender. Even though Blaich is not coming, one of his teammates should be in the thick of things. Aaron Totten-Lancaster finished 25 seconds behind Blaich at Club Cross; the only thing he has on the books in 2016 is a sub 1:14 Half Marathon in January so he carried his fitness at least through that point. Danny Goodman, Jr. is new to the Masters ranks but should be up with the leaders in this race. He ran a 33:10 in a 10K last year and had a 33:06 in the Azalea 10K Trail Run in February of this year, in some pretty fast company. Ethan Nedeau who finished 4th last year, is back to see if he can hang with the lead pack all the way to the finish this year. McManus, DeChellis, Goodman. Updates [4/22/16]--Chris Magill did enter and he is primed for a good run, having run a 1:12:54 at the new Bedford Half Marathon after running a 15:43 5K at the An Ras Mor 5K. I cannot find any 2016 results yet for Lemme so that makes him a somewhat doubtful pick despite his past success in this race. And Peter Hammer is another heck of a runner yet his fitness does not seem quite at the level of Magill's right now. Andy Gardiner is also in the race now and he ran 2 seconds faster than Magill at the An Ras Mor 5K. On the other hand, I cannot find any longer races in his recent past so I worry about that a bit. So revised pick, in order: Magill, McManus, Gardiner. Women. The defending champion on the Women’s side, Marisa Sutera Strange, is back and is a threat to repeat. She won in 37:00 flat last year. But she will need to be at her best. Renee Tolan who finished 3rd last year is in good form, fresh off a 3rd place finish in the Masters Race at the Carlsbad 5000 in 17:37 and a first last week in the BAA 5K Masters race in 17:44. Two runners from the Atlanta Track Club are in, Sonja Friend-Uhl and Holly Ortlund. Ortlund was running very strong at the end of 2015. In December she bested Strange by 9 seconds at the 2015 USATF Club Cross Country Championships, and she has run a 37:19 10K this year. Friend-Uhl was even stronger at the end of 2015, besting Ortlund by a half minute at Club Cross to take the overall win. Friend-Uhl took the W40 Indoor 800 Meter title in 2:15 and the silver medal in the 400 Meter Run in early March so we know her fast-twitch muscles are clicking on all cylinders. The only question is whether her 10K endurance is up to snuff. Another contender new to the USATF 10K at Dedham is California’s Nicole Hagobian, who took 3rd overall at the USATF 8K at Brea. Her time of 30:09 there equates roughly to a high 37 minute 10K. Friend-Uhl, Strange, Tolan. Update (4/22/16): Diana Bowser and Tammie Robie should also be factored in as possible threats to the earlier picks. Bowser ran a 17:51 at the An Ras Mor 5K and Robie was only 17 seconds back. Nonetheless, I will stick with the prediction. Friend-Uhl, Strange, Tolan. Women. Jan Holmquist (99.1) and Marisa Sutera Strange (93.8) are the top two returning Age Graders among the Women. 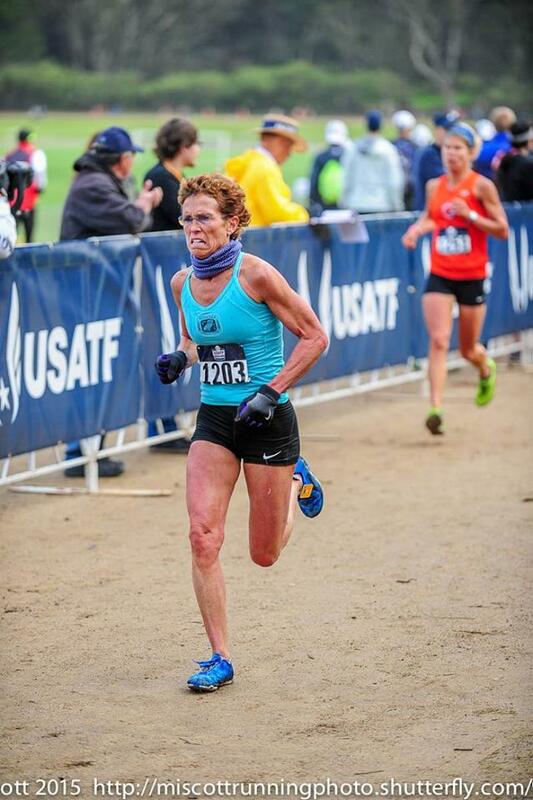 Edie Stevenson, from Colorado, who did not compete last year, is coming East to challenge for a top medal, She age graded 92.7 at the 2016 USATF 8K Championship in Brea in February. Jo Anne Rowland, from California, who age-graded at 88.1% at Brea, will also contend for an Age-Grading medal. Holmquist, Strange, Stevenson. Update (4/22/16): No significant changes..
Men. Brian Pilcher (91.7) from California, and Reno Stirrat (89.3), from New Jersey, are the top two returning Age Graders among the Men. Rick Becker, from Washington State, is making his first appearance at Dedham and is definitely a threat for the top spot. He bested Pilcher at the USATF 8K in Brea by 2 points with a 91.6. But Pilcher is on the way up so it will be interesting to see who comes out on top. There is a new contender, New Yorker, Mike McManus, who did not compete here last year, but had the excellent cross country results referenced above in the overall race preview. He is likely to grade in the 88 to 89 range. Other contenders include Doug Bell, from Colorado, who age-graded at 89.1 at Brea in February; Nat Larson, who bested Stirrat in Age-Grade score, and was not far behind McManus at both the 5KM and National Club Cross Country Championships. And let’s not forget Jeffery Dundas, who ran strong at the end of last year and recorded a 90.1 Age-Grade at the Crescent City Classic 10K a few weeks ago. Becker, Pilcher, McManus. Update (4/22/16): Andy Gardiner should be a factor. His 15:43 in the recent An Ras Mor 5K race age grades over 93%. But will he age grade that high at 10K? We'll find out on Sunday. Becker, Pilcher, Gardiner. M40. Dave DeChellis and Ethan Nedau are the top returning M40 runners from last year. It appears that Danny Goodman, Jr. and Aaron Totten-Lancaster are strong contenders for a podium position. DeChellis, Goodman, Totten-Lancaster. Update (4/22/16). Now I need to put Magill up top in this division to be consistent. Magill, DeChellis, Goodman. W40. Renee Tolan, who earned the W40 Silver Medal last year in 38:00 flat, will have to defeat two new contenders, Holly Ortlund in order to capture the Gold Medal this year. As mentioned above, Ortlund appears capable of running under 38:00. 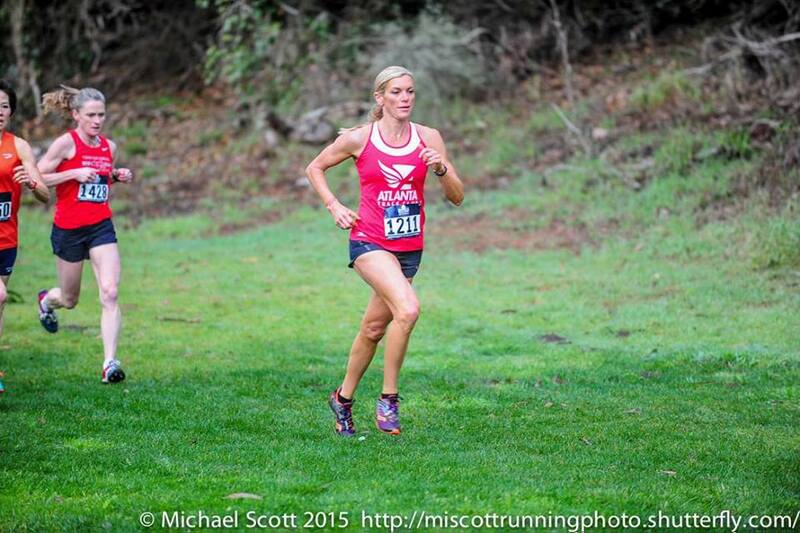 The other chief contender appears to be Nicole Hagobian who took 3rd at the USATF 8K in Brea two months ago. Tammie Robie, who has recently run in the 18 to 18:30 range for 5K races, will also be in the mix. Ortlund, Tolan, Robie. Update (4/22/16). Diana Bowser ran a little faster than Robie recently so she is more likely to factor than Robie. Ortlund, Tolan, Bowser. M45. This is a tough group to call. Kent Lemme, who took the M45 Silver Medal in 33:48 behind Kristian Blaich is the favorite. And Greg Putnam’s 34:45 was only good enough for 6th place in the division. Joe Shairs, the 2015 4th place finisher in 34:32, is in the field. Andrew Spaulding, who ran 34:03 to finish 5 seconds ahead of Totten-Lancaster in the Club Cross Country Championships should also be in the mix for a podium position in the age group. 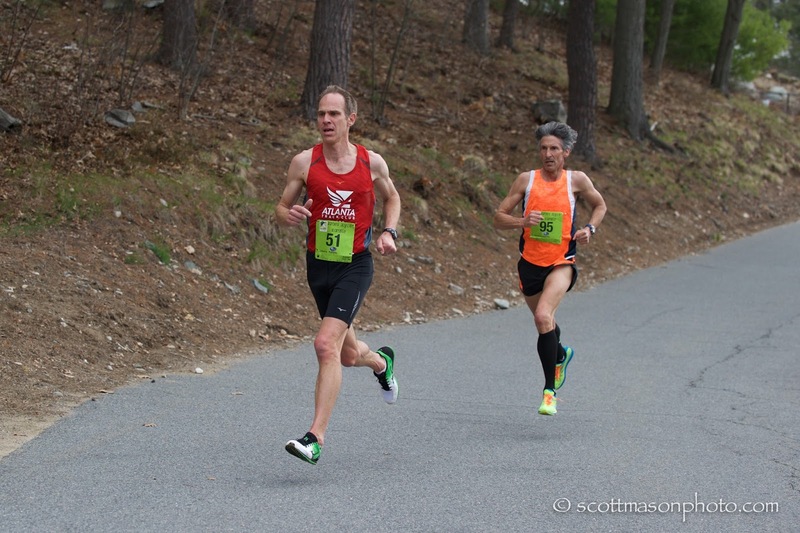 Tim Van Orden, who finished just 14 seconds back from Spaulding at the recent An Mas Mor 5K could also be a factor. Lemme, Putnam, Spaulding. Update (4/22/16). How could I write a preview for this group without mentioning Peter Hammer? Even in his last year in the age group you can never count him out. His recent New Bedford Half Marathon at 1:13:30 makes that clear. Lemme, Hammer, Putnam. W45. Sonja Friend-Uhl should take the gold medal in this division; she has no close competitors. 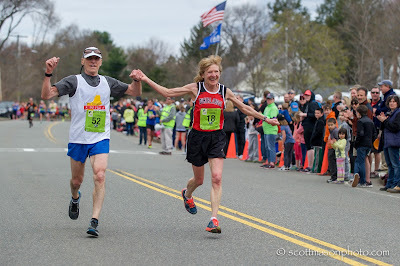 Kate Queeney ran 20:57 at the Hollis (Fast) 5K and 47:29 at the Lone Gull 10K last year. It appears that Terri Powell ran 48:38 in a 5 mile run last year. Friend-Uhl, Queeney, Powell. Update (4/22/16). Emily Bryans ran 18:37 at the USATF 5K Championships last October and had a 38:19 10K in November. I see no races yet this year for her, so current fitness is a bit of a question. But 2nd place looks to be hers to lose. Ruthie Ireland has run some recent 5K's in 20:30 to 22 and ran 44:38 at the Lone Gull 10K so she should challenge Queeney for 3rd. Dana Parrot ran 20:57 at the An Ras Mor 5K this year and beat Ireland by 20 seconds at a 5K in December. Friend-Uhl, Bryans, Parrot. M50. Mike McManus is the clear favorite in this group. Nat Larson, who finished 3rd last year in 35:18, is a strong favorite to make the podium again. Francis Burdett, who was off his game at this race last year, was showing signs at the USATF 8K Championship that he is well on his way back to the form he enjoyed early last year. 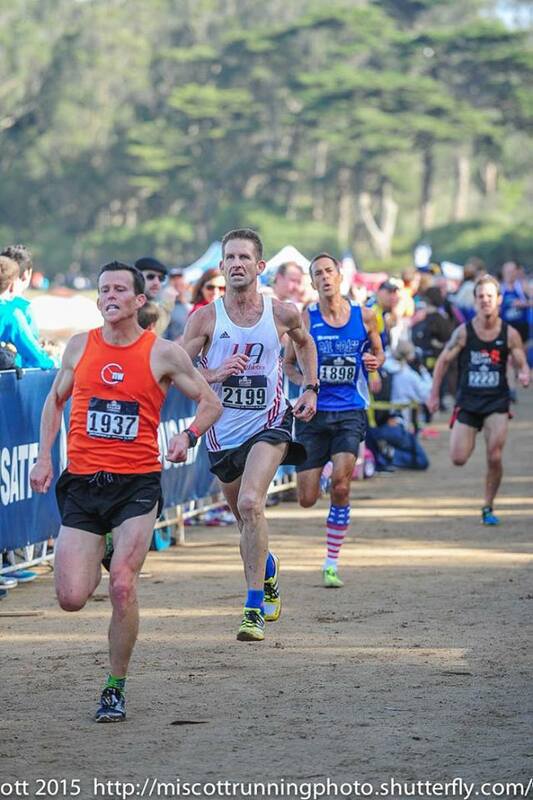 He finished 5th in 27:40 against the strongest M50 runners on the West Coast. Pete Bottomley, who has run his recent 10Ks in high 35’s to low 36’s could be in the mix as well. Daniel Verrington, who finished 7th last year in 35:37, should also be in contention. McManus, Larson, Burdett. Update (4/22/16). Andy Gardiner's entry shakes up this prediction. See Age-Grading above for details. Also Mike Nier is in. He would ordinarily factor in, but I understand he has been slightly off his form recently, as suggested by a recent 5 mile effort. It is likely he is primarily running for the team. Daniel Verrington ran 16:47 at the Hollis 5K last year and 35:27 at a recent 10K so could well factor in this group. Gardiner, McManus, Larson. W50. Marisa Sutera Strange took the 2015 W50 title by nearly 4 minutes and there is no reason to bet against her this go-round. Her chief competition should come from Laurel Park, who won the USATF W50 gold medal at the 2014 USATF 12K Championship in 47:15. Strange’s teammate on the Athena Track Club, Lorraine Jasper, who finished 5th last year in 44:14, could challenge for the podium this year. Janice Rempe who finished 3rd overall and in the W50 group at the USATF 15K Championship in 1:04:43, may have something to say about that, however. Strange, Park, Rempe. Update (4/22/16). Mimi Fallon ran 38:18 at last year's championships. That puts her clearly in the hunt for a podium spot.Kim Ionta's 19+ 5K's suggest she can push Rempe but may not be able to reach the podium. 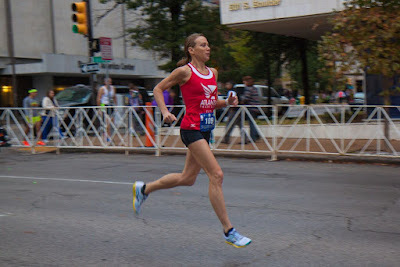 Mary Zengo ran 39:07 in the Boston Build-up 10K and 1:03:55 at the Cherry Blossom 10 Miler. She is definitely a runner to consider. Strange, Park, Fallon. M55. Two-time Masters Runner of the Year, Brian Pilcher, 59, and gold medalist at the 2013 Championships in 34:36, was rehabbing a hamstring last year and finished 2nd in 35:07. This year he is back and is, again, rehabbing that recalcitrant hamstring. But this year he is fresh off a victory at the 2016 Carlsbad 5000 in 17:00 flat. If the hamstring remains under control, Pilcher is the favorite. Jeffery Dundas, 57,who finished 2nd here in 2014 in 36:01 is fresh off a 2nd place in the M55 competition at the Crescent City Classic 10K where he ran a 35:47, his first World Class performance. He is definitely a contender for a top 3 medal. The race for the final spot on the podium should be between the Atlanta Track Club’s Michael Anderson and the Bowerman Track Club’s Michael Gorriaran. Gorriaran took the age division crown at the USATF Cross Country Championships at Bend Oregon in early February.Anderson’s times this year of a 1:04 10 miler, a 1:25:18 Half Marathon and 38:07 10K appear to give him a slight edge over Gorriaran. Pilcher, Dundas, Anderson. Update (4/22/16). The big news here is that Mark Reeder is in. Last year he was able to take Pilcher's measure when Pilcher was about as far along on his rehab as he is this year. And Reeder looks to be fit with a 16:45 at the An Ras Mor 5K and a 1:17:09 at the New Bedford Half Marathon. Reeder, Pilcher, Dundas. W55. Mary Sweeney, took the silver medal at the USATF 15K in Tulsa Oklahoma last October, and bested Cynthia Williams by over 3 minutes in her 26:41 four-mile run in January, is the favorite. And the recent races of Williams, including a 47:43 10K and a 1:19:31 ten-miler, make her the favorite over Valerie Tomolonis for the Silver Medal. Sweeney, Williams, Tomolonis. Update (4/22/16). Nancy Briskie ran her 5K's last year in 21-22 minutes so she has a shot at the podium. Karen LaVerdiere is also in that range for the 5K, with recent times just over 22. And Colleen Magnussen, who ran 21:59 at the USATF 5K Championships last October cannot be ignored. She must have been off her game at this race last year as she recorded a 49:50. Beth Stalker has run recent 5K's in the 20-21 range and 10K's in the 41-43 range. Stalker, Sweeney, Briskie. M60. 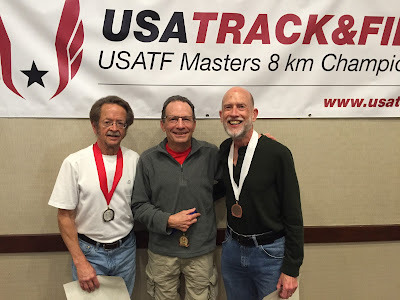 Rick Becker has won every USATF M60 race he has entered since November 2014. It appears Becker may not lose until Tom McCormack returns to his former pre-injury form or a new runner enters the Age Group. This is Becker’s first try at the USATF 10K but he has already won gold medals at the USATF Cross Country and the USATF 8K Championships this year. He is favored to make it three in a row. Reno Stirrat, who took 2nd in this race last year in 37:05 is the favorite for the Silver Medal. Based on recent strong races at the USATF Cross Country Championships and the USATF 8K at Brea it appears that Heath Hibbard may be a slight favorite over Kirk Larson for the Bronze Medal. Becker, Stirrat, Hibbard. Update (4/22/16). John Barbour is entered; he and Becker had a stirring duel at Club Cross Country where Barbour hung with Becker all the way until Becker finally pulled away in the last stage.Will Barbour do better on the East rather than the West Coast? Barbour is the defending champion in 37:00 although Stirrat pushed him all the way, finishing only 4 seconds back. Ordinarily the entry of Mark Rybinski would shake things up. He had a terrific race last December at Club Cross, hanging with a tough pack and finding some acceleration to pull away at the end. He has apparently had some difficulties in the interim however as his only race this year so far is a 42 minute 10K effort. Like Nier, he is likely running for the team. Becker, Barbour, Stirrat. Her 10K times last year ranged from 41:58 to 43:32. Stewart ran a 41:57 10K this March. Contenders for the third spot on the podium include Alda Cossi, Sidney Letendre, and Jill Miller-Robinett. Their recent 5K times are within 16 seconds of one another but Miller-Robinett has greater experience at the national championship level. Bartley, Stewart, Miller-Robinett. Update (4/22/16). No significant changes in this group. M65. Doug Bell is the favorite off of his win at the USATF 8K in Brea in 30:37. That, plus his 18:39 at the USATF 5K Championships last October and his 39:00 10K at the Bolder Boulder 10K, provide the credentials for a top ranking here. Peter Mullin who finished 3rd at Brea in 32:30 should be able to take 2nd. The 3rd spot will be tightly contested by several top Masters Athletes. Bob Giambalvo is probably the favorite to take the bronze based on his 5K speed, where he typically records times in the low 19 minute range and he has a recent 8K time of 33:29. Because Giambalvo is not quite as comfortable at longer distances, one cannot rule out Jerry Learned, Vasan Neovakul, or Roger Price. On a given day, as fitness and health allows, they are all threats. Bell, Mullin, Giambalvo. Update (4/22/16). Bill Dixon has entered and that changes things. Dixon ran 18:33 at the 5K Championships in Syracuse, finishing 7 seconds ahead of Bell who was running in the M60 group back then. And Dixon is familiar with the course from taking the M65 title here in 2014 in 38:23. Doug Winn entered too which shakes things up even more. Winn defeated Dixon by 17 seconds at Club Cross last December. It should be a heck of a race between these three, with Peter Mullin jut off the pace should any of them falter. Winn, Dixon, Bell. W65. Colorado’s Edie Stevenson and California’s Jo Anne Rowland will grace the W65 field. They finished 1-2 in the Age Division at the 2016 USATF 8K Championships at Brea in 35:49 and 38:13 respectively. Mary Sharkey should press Rowland for the silver medal. She has run 5K’s in 22:40 to 23:45 and a recent 5 miler in 38:13.Stevenson, Rowland, Sharkey. M70. It is tough to handicap a race when I am one of the contenders. In recent years the favorite in this group would have been either Doug Goodhue or Jan Frisby. Goodhue, Age Group Runner of the Year from 2006 through 2014, and holder of numerous records, is rehabbing an injury from last fall and will not compete. Colorado’s Jan Frisby, 2015 M70 Runner of the Year, M70 Grand Prix Champion, and defending USATF 10K champion, is coming off an Achilles injury incurred late last year. He was well off his usual fitness at the USATF 8K Championships 2 months ago. It will be interesting to see how far he has come since then. Frisby is the defending champion; he won last year in 41:36. He faces a strong field of contenders including Iowa’s Gary Patton and Indiana’s Paul Carlin (yours truly), both of whom bested him at the 8K in February this year, and New Jersey’s Przemyslaw Nowicki who won the last two USATF road championships of 2015 in this Age Group, and finished 2nd to Frisby in the 2015 M70 Grand Prix. This will be Nowicki’s first USATF contest of the year. Frisby finished 5 minutes back of Patton and Carlin at Brea. He should be much closer here but it is probably too much to expect him to erase all of that gap. Patton has bested Carlin at the last two USATF Championships, one an 8K Cross Country race and the other an 8K Road Race. The longer distance is a slight advantage to Carlin who only lost to Patton in Brea by 6 seconds. Nonetheless, until Carlin bests Patton in a race it is hard to go against Patton. The same argument holds for Carlin vs. Nowicki. Nowicki bested Carlin by 4 seconds at the USATF 15K Championship and by 8 seconds at the USATF 12K last fall. Carlin spent 2015 rehabbing a hamstring injury and is on an improving trend. Still it is hard to go against Nowicki until it is earned on the race course. Patton, Nowicki, Carlin. Update (4/22/16). Dennis Herman runs his 5K's consistently in the 22 minute range. That is probably not fast enough to crack the top group but if any are off their game, he could move up. Patton, Nowicki, Carlin. W70.The pride of Burlington Massachusetts, Jan Holmquist, is the defending W70 Champion in 45:22, W70 Runner of the Year, and W70 10K National Record holder. The main question is not so much whether she will win, but whether she will break her W70 record again. Dianne Anderson, of California’s Impala Racing, will try her chances however. She finished 5th in the W65 group at the USATF 8K in Brea in 47:40. Unless Holmquist is off her game, Anderson will be happy to go home with the Silver Medal. Holmquist, Anderson. Update (4/22/16). No changes in this group. M75. Matt Lalumia appears to be the favorite, based on his 5th place finish last fall at the USATF 5K road Championship in 26:46 at Syracuse, and his 5th place in the USATF 5K Cross Country Championship in 27:17. Andrew Sherwood, who finished 4 minutes behind Lalumia at the Cross Country Championships should be favored to take the Silver Medal while Al Swan, who finished 6 minutes behind Lalumia at Syracuse should take bronze. This assumes that neither the defending champion, Bill Borla nor the 2015 Silver Medalist, Roland Cormier, enter in the next 6 days. Lalumia, Sherwood, Swan. Update (4/22/16). 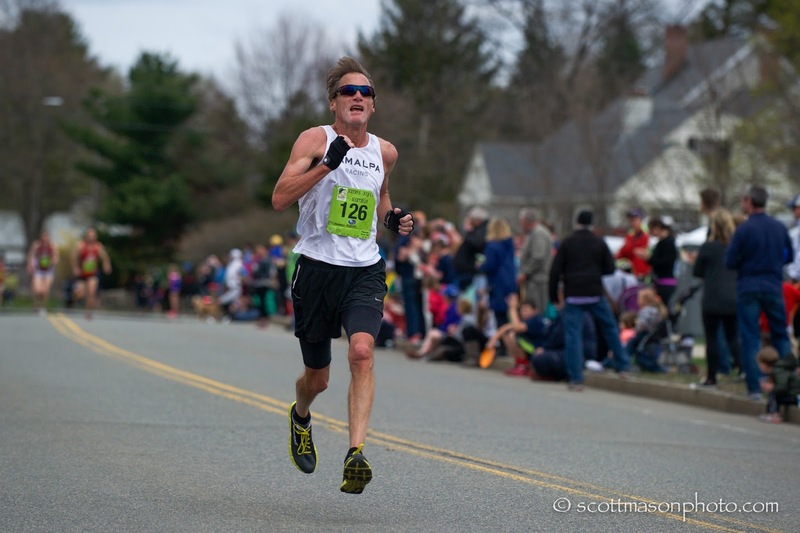 Harry Carter ran a 23:33 5K and the New Bedford Half Marathon in 1:53:49. That makes him the favorite for the top position.Ron Mastin won the M75 group in October at the USATF 5K in 23:07 and ran a 1:52:12 Half Marathon in November. These two should battle for the M75 crown. I will give the edge to Mastin based on his greater experience at national championships and having slightly faster times. Mastin, Carter, Lalumia. M80. Lawrence Cole, the defending champion in 1:14:21, had this group to himself last year. This year there are three able challengers who will make it difficult for Cole to stand on the podium. Jim Askew regularly runs 5K’s in the 26 minute plus range and ran a 10K last year in 56:08. Jon Desenberg ran a 1:13:49 10K this year and runs 5K’s in 31 to 33 minutes. Bill Spencer typically runs his 5K’s in 24:30 to 25:30 but the 10K may be a bit of a stretch for him. The most recent 10K I can find is the 2013 USATF 10K where he ran 50:24 to take 2nd in M75. Spencer, Askew, Cole. M40+. Last year the podium consisted of the Atlanta Track Club, the Central Mass Striders, and the B.A.A., in that order. Atlanta had an edge of a minute and a half on the other two who were only 2 seconds apart. Atlanta hopes to repeat while the other two hope to move up. None of the teams have exactly the same composition as last year. Atlanta is missing not only Blaich who led the way last year, but their number 2 runner, Eric Stabb. But they have replaced Blaich with Totten-Lancaster who is certainly a threat to break 34. Brad Slavens was their 4th runner last year but this year either he or the always dependable and versatile Matthew Whitis will need to step up. Nonetheless, they could lose the 30 second per runner advantage they enjoyed last year. The Central Mass Striders appear to be almost as strong as last year. Joe Shairs led the way with their 2nd through 4th runners, including Greg Putnam, finishing as a tight pack about 12 seconds back. At the An Ras Mor 5K in early March, Putnam and one of their additions, Tim Van Orden, were running better than Shairs. Their 4th member, Joshua Perks was almost even with Shairs. If Putnam can run even stronger this year and Shairs not be too far off his game, Central Mass could overtake Atlanta. But the B.A.A. will have something to say about that. Harry Stants and Christopher Lawrence are back from last year's team and are joined by Peter Hammer and newcomer to the Masters ranks, Matt Herman. If at least 3 of the 4 can hit that sweet spot between 34 and 34:45, they will be right there with the other two. The Greater Springfield Harriers will also contest this division. They have Kent Lemme up front as their engine but overall their team, while very strong in other contexts, does not appear to be quite strong enough to contend with these other three. Atlanta seems to be a little more vulnerable than last year and Central Mass also perhaps. It looks like the B.A.A. team is a little stronger. Atlanta is the defending champion so they deserve the first pick in the absence of an overwhelming change in circumstances. I'll pick the B.A.A. to move up past Central Mass into 2nd. The team race should be closer than last year though and the order, frankly, is somewhat uncertain. Atlanta Track Club, B.A.A., Central Mass Striders. W40+. Last year the Dirigo R.C. out of Maine took this title with two minutes to spare while the Greater Lowell Track Club and the Genesee Valley Harriers [GVH] battled for the other two spots on the podium with only 9 seconds separating them. The 2015 champs will not defend their title but six teams in all, instead of 3, will contest this division. Atlanta sends a team for the first time and it is loaded. 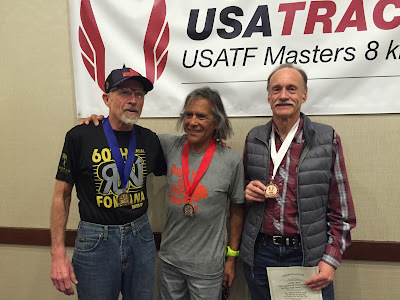 As noted above, they lead with Sonja Friend-Uhl who took the National Club Cross Country title last December and was the 800 Meter Masters Champion on the indoor track this past March. The one downside is that she may not have logged as many miles as last fall when she won the Medical Center 10K in Bowling Green KY in 36:10. Even so, with her dependable partner, Holly Ortlund not far behind, Atlanta is the team to beat. They should start with two runners under 38 and possibly faster. Nancy Stewart, a very speedy 59 year old, should finish in under 42 minutes. Greater Lowell is back although the team members are different.Liane Pancoast, their number two runner last year is back and joined by Jill Lohmeier and Tammy McDonough. Even without Kara Haas to lead the way, they may be the best bet for the third podium spot. Melissa Senall will lead another strong GVH team as they initiate the defense of their 2015 Club Grand Prix championship. Senall should be able to run close to 40 as she did last year with Wakenda Tyler within 2 to 3 minutes. But there will be a bigger gap back to GVH's 3rd runner, Gail Geiger. Atlanta TC, GVH, Greater Lowell.